The Hydros has been designed for families with young children. It’s been created to allow the kids to splash about at the jets end whilst leaving plenty of space between the kids and the adults relaxing in the spa end. The special features of the Hydros include four powerful pumps that can either be directed to the swim jets or diverted to the spa end or adjusted half and half. The Hydros is the perfect pool for youngsters to learn to swim in. 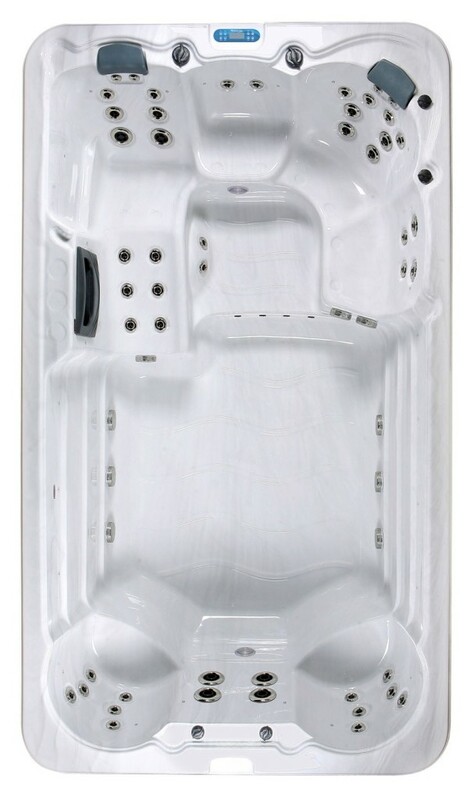 With its compact dimensions, as well as a swim spa it still delivers just like a hot tub. It has everything for family enjoyment; that special place to relax and a great place for swimming or for weightless exercising walking against the adjustable counter currents. The Hydros is a huge amount of fun and great value for money.